A grant of £3,800 has supported The Therapy Garden in Normandy in offering a therapeutic horticulture course to 12 local stroke survivors. The group took part in a range of gardening activities such as growing, harvesting and maintaining the gardens. They enjoyed activities at their own pace, in a peaceful and supportive environment supported by volunteers and experienced horticulturists. 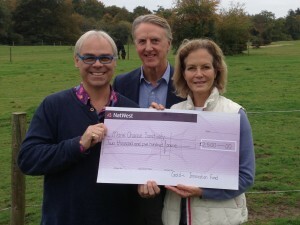 The Therapy Garden is a horticulture and education charity that uses gardening to generate positive change. 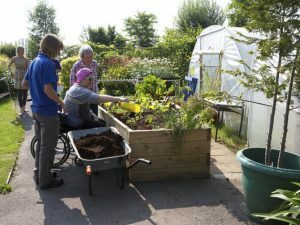 The ‘Stroke of Genius’ project offers social and therapeutic horticulture to a group of stroke survivors and their carers. It provides stroke survivors with gentle exercise and physical activity whilst they learn about gardening. Stroke sufferers are prone to becoming isolated while they are recovering. This project offers an opportunity to socialise and connect with new people, whilst being inclusive of carers. 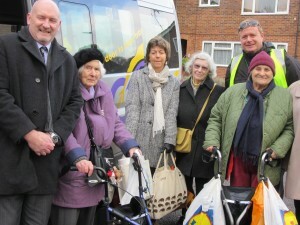 It had previously partnered with the Stroke Association to run a taster course for eight stroke survivors. When the pilot ended, the group expressed a desire to return. The grant enabled the course to run for a further six weeks and to expand the number of attendees. Volunteers enjoyed seeing the group return, building relationships with the group and seeing how they progressed during the course. Referrals to The Therapy Garden are made by local coordinators of national charities such as the Stroke Association. Alternatively a GP can refer you, or it is possible to self-refer. To find out more about The Therapy Garden, the services they offer and how to get involved, please see their website.